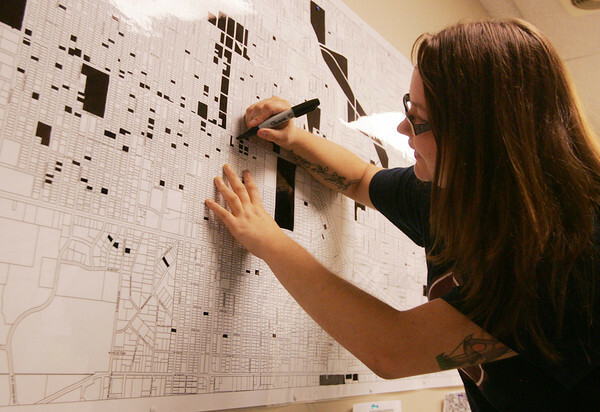 Sharon Lindsey, client services coordinator with Rebuild Joplin, marks off a lot on a project map in the organization's headquarters. The map keeps track of completed projects and lots that do not need rebuilding assistance. The organization's goal is black out the entire map.